Born in 1994 in the city of Naberezhnye Chelny, Republic of Tatarstan. In 2009 she finished the children's music school No.1 (class by Anna Brahnova). In 2013 finished the Naberezhnye Chelny College of Arts (class by Elena Plyusnina). 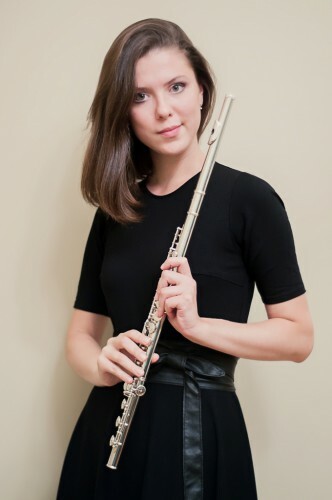 Since 2013 she is a student of the St. Petersburg Rimsky-Korsakov Conservatory (class by the Honored Artist of Russia, Professor Olga Chernyadyeva). 2010 – laureate of the III prize of the International Festival-Contest of Children and Youth Creativity "Union of Talents" (Kazan). 2011 - laureate of the I prize of the International competition-festival "Music Mosaics" (Izhevsk). 2013 - laureate of the I prize of the International Competition of Young Performers of Academic and Folk Music "Art Forum" (Kazan). Master classes by Maria Fedotova (8-11 September 2015).